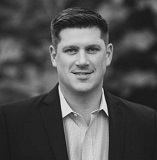 MADISON - Republican U.S. Senate candidate Kevin Nicholson -- who has himself repeatedly been caught lying -- is now leveling charges of dishonesty at none other than First Lady Tonette Walker and her son, Alex, who works for Nicholson's primary opponent, state Sen. Leah Vukmir. Wisconsin First Lady Tonette Walker offers a very personal reason for supporting Republican U.S. Senate hopeful Leah Vukmir over rival Kevin Nicholson in the contested GOP primary this year. The first lady says Vukmir’s opponent refused to shake her son Alex’s hand. Nicholson’s campaign said it had no idea what Ward or Tonette Walker were talking about. "No amount of petty infighting, name-calling, or accusations of dishonesty can change that fact that Kevin Nicholson and Leah Vukmir are running on a deeply unpopular, right-wing agenda that's all about selling out hardworking Wisconsinites to help corporate special interests and billionaire megadonors get even richer," said Brad Bainum, Democratic Party of Wisconsin spokesperson for the 2018 U.S. Senate race.